Homeowners in Floyds Knobs, Mt St Francis and St Mary’s have been depending on Olde Towne Chimney & Fireplace Sales for the most comprehensive chimney and fireplace services and the best hearth products for almost 30 years.  Since the late 70s, the expertly trained, CSIA-certified team at Olde Towne Chimney & Fireplace Sales has provided Floyds Knobs and the surrounding communities with high-quality chimney and fireplace sweepings, inspections, repairs and installations. We travel all down Paoli Pike, Scottsville Rd, E Luther Rd, and Lafayette Pkwy on a regular basis as part of our mission to provide our neighbors in the area with everything they need for their chimneys, fireplaces, stoves, inserts and outdoor kitchens and fireplaces. 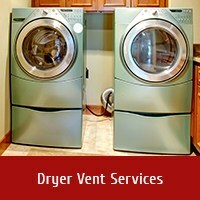 As a service provider and a hearth shop, we’re able to meet our customers’ needs from start to finish. Whether you’re just starting to plan and design the outdoor kitchen or fireplace you’ve always wanted, or you’re just looking for a way to keep your beloved hearth looking and working like new, Olde Towne Chimney & Fireplace Sales can be the partner that takes care of it for you. Our beautiful showroom provides a great setting for checking out some of the best industry products, and features a wide selection of fully functioning fireplace displays, stoves, grills and more. 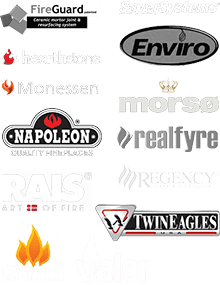 We carry the finest brands, including Napoleon, Hampton, Regency, Valor, FireRock, Hearthstone, Morso, Monessen and more, and can answer any questions that may arise during your shopping experience. Need a little help with your decision? Just ask! Our staff is passionate about the industry and can help you choose the appliance that will best serve you and your family. 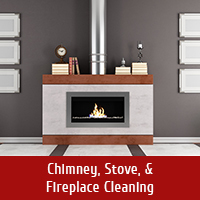 When it comes to fireplaces and chimneys, there’s nothing we haven’t seen — whether your system is old or new, in great condition or in total disrepair, we know what to do. 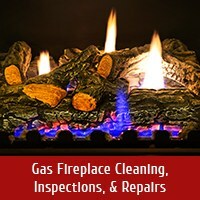 Our services are designed to provide total care and to meet and address all of your home hearth and heating needs. 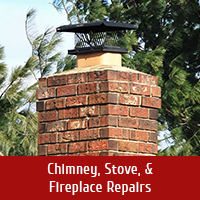 Some of the services we offer: Chimney Sweeping & Inspections; Chimney & Fireplace Repairs; Chimney Cap, Chase Cover and Chimney Crown Installations; Chimney Relining; Leaky Chimney Repair; Waterproofing; Chimney Masonry Repairs; Smoke Chamber Repairs; Gas Fireplace Cleaning, Inspections & Repairs; and Dryer Vent Services. Do you live in Floyd Knobs or a nearby community? 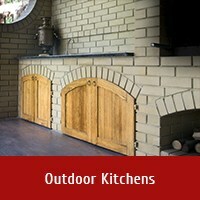 Are you looking for the best hearth products and chimney and fireplace services in your area? 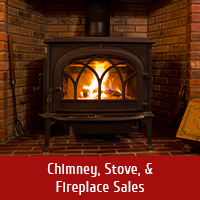 Give Olde Towne Chimney & Fireplace Sales a call today at 812-284-0123! You can also request an appointment online here. It’s always a pleasure for us to provide our services to the folks in New Albany, IN, another one of our service communities.